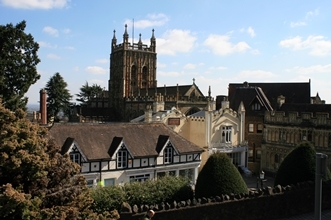 Situated in the picturesque Worcestershire countryside, Malvern is one of England’s most historic and cultural towns with a blend of architectural charm, tranquillity, and modern convenience. Well known for its local spring water, 11th Century Priory and the Malvern Hills. Malvern offers a range of shops, Post Office, restaurants, building societies and the Waitrose supermarket. Malvern is also renowned for the theatre complex with concert hall and cinema. There are many sporting facilities available to include the Splash leisure centre and the Manor Park Sports Club. Transport communications are excellent with two train having connections to Worcester, Birmingham, London Paddington, Hereford and South Wales. Junction 7 of the M5 motorway at Worcester is about eight miles distant bringing all parts of the country within convenient commuting time. Search our database of properties for sale and rent in Malvern and surrounding areas.